Not every year will be rough for forage crops and pastures like 2018. "Producers have to wait until it is four- to six-inches tall before letting cattle out on it to graze it,” Brook says. “If they don't, they are impairing its ability to produce effective grass for the rest of the summer." He says producers need to be in the right mindset when it comes to grass. "Grass is a harvester - it harvests the sun's energy - it produces forage that the cattle can live on. If (producers) treat it right and don't overgraze it, it will be productive next year," Brook says. Vern Baron, a research scientist with Manitoba Agriculture, is involved with research projects in forage management. He says when building a forage management plan, it’s important to remember there isn’t one solution for across the board planning - every farm operation, every field, is going to have different types of land and topography. "It is important to use each part to its advantage and use it at the time of year when it is at its best," Baron says. 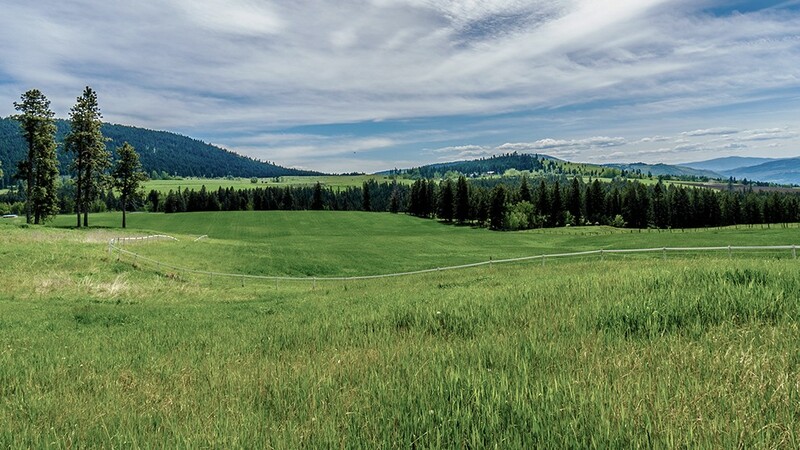 Graeme Finn, who owns Southern Cross Livestock just north of Calgary, says an effective tool to make sure the grass remains healthy and not overgrazed, is to use rotational grazing and move the cattle regularly. "We don't move the cattle out on a certain time period, but at a certain plant growth height," Finn says. He adds if grassland is grazed too hard, it will take longer to regrow. Steve Kenyon, owner of Greener Pastures Ranching near Westlock, Alta., says it's important to recognize that no two years are the same. The weather, animals and their needs are always changing. It’s also important to always be working on grazing practices. "Do some good rotational grazing, manage for the grazing concepts, understand the principles behind that," Kenyon says. A thought that is echoed by Sean McGrath, who farms near Vermillion, Alta. He says farmers should constantly be monitoring the production, forage quality and soil health so they can build on previous year's successes and learn from failures. Grazing experts say farmers should always be thinking ahead when it comes to grasslands. Avoid over-grazing and give grass time to replenish before putting cattle back on it. Replenished grassland has deeper roots and gathers more nutrients and water, building resilience for drier years.